We provide affordable oven repair services in San Diego. Our service/diagnosis fee is only $30 and is waived when you choose to have your repairs done by us. You’ll only pay for parts and labor of your oven repair. We repair Gas Ovens, Stoves, Electric Ovens, Built-In Ovens, Combination Ovens, Convection Ovens, and Double Ovens. Oven not reaching the correct cooking temperature. Oven getting too hot and burning food. Oven not turning on at all. Oven lighting and/or power issues. 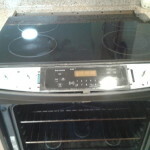 We offer affordable oven repair services almost anywhere in San Diego and surrounding areas. We’re here to help repair your oven. Our oven repair service technicians are trained on all major makes and model ovens including Maytag, Kitchen Aid, GE, LG, Whirlpool, and much more. Cleaning the oven regularly and wiping up spills as they happen help your oven to work as efficiently as possible. 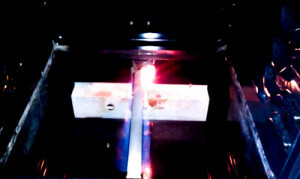 A solution of baking soda and vinegar cuts baked on grease and eliminate odor. An oven is called a “Forno” is Italian. Give us a call today at (619) 327-9501 to schedule an appointment with one expert San Diego Oven Repair Technicians. We service Santee, El Cajon, La Mesa and most other areas San Diego. View our service areas, or setup an appointment online.